Actual grades won’t be available until all the players from this year’s draft class have a couple seasons in the NHL under their belts (or they’ve proven they won’t get there), but Saturday night’s NHL Draft Lottery provided an opportunity to highlight some teams that improved their stock and others that took a bit of a hit. Here are the winners and losers from the 2016 NHL Draft Lottery. Literally and figuratively, the Leafs were winners on Saturday evening. 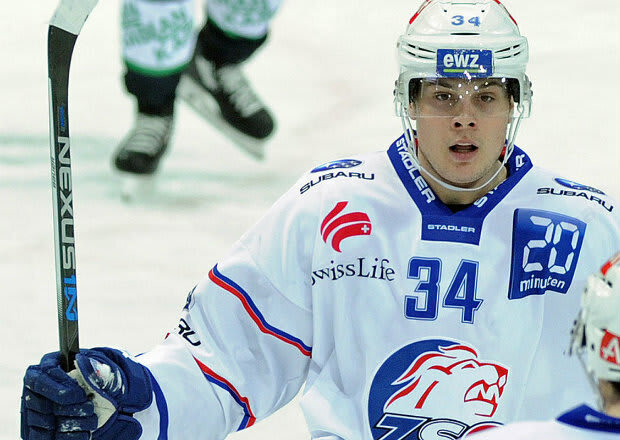 They entered with the best odds of selecting first overall and remained in that position, giving them first dibs on drafting Auston Matthews, the Arizona-born center who played extremely well and drew rave reviews last year in the Swiss Elite League. In addition to landing the top pick and being guaranteed to add another quality prospect to its depth chart, Toronto earn another gold star for recognizing the need to rebuild a couple years ago and going about it the right way under Brendan Shanahan and Company. The Leafs jettisoned the vast majority of its veteran talent over the last couple season, stocked the minors with talent and bottomed out when their was a big-time talent at the top of the draft, all of which accelerates their turnaround time. Slipping from No. 2 to No. 4 isn’t the end of the world because Edmonton will still get a very good player in that position, should they decided to hold onto the pick and draft in that spot, but seeing where Toronto is at coming away from the Draft Lottery only underscores how dreadful things have gone in Edmonton over the last (looks at calendar) decade. This franchise has had an abundance of Top 10 picks in recent years – and four first-overall selections – and yet they were still the second-worst team in the league last season. Connor McDavid is a generational talent that can lead this team going forward, but they’re still a couple years away and trailing the Leafs, which shouldn’t be the case. Winnipeg was a disappointment last year, falling back after making the playoffs the previous season, but they too took the right tact during the season, moving out some veterans and giving their kids a chance to get some ice time. With the wealth of prospects they’ve acquired in recent years, adding a first-line, elite scorer like Laine to the mix should allow them to focus on other areas that need improvement and hasten their return to the playoffs. Vancouver fell from No. 3 to No. 5 on Saturday and it’s hard not to chuckle because of course they fell two spots; it’s the Canucks. This team has struggled to commit to rebuilding and delayed the inevitable for a couple seasons and it has continued to cost them. As much as this drop back in the draft order is a “luck of the draw” situation, it also feels like karma kicking Vancouver in the pants a little for drawing its feet and trying to retool on the fly. Much like Edmonton, it will be interesting to see if Vancouver holds on to this pick or looks to move down while adding another piece or two in the process because the Canucks need help on the blue line more than anything else, but taking one at No. 5 might be a bit of a stretch, especially if the Oilers grab Olli Juolevi in front of them. Getting a potential megastar into the most ravenous market in the league is terrific for the league itself. Toronto is always going to be one of the focal points of conversation every season and having them in a position to return to contention quicker than most rebuilding squads is, ultimately, a good thing. Could McDavid vs. Matthews become the new Gretzky vs. Lemieux or Sid vs. Ovie? That should be what they’re hoping for and you better believe Edmonton and Toronto hope that’s how this plays out.